Imagine a video game that has suddenly come to life. 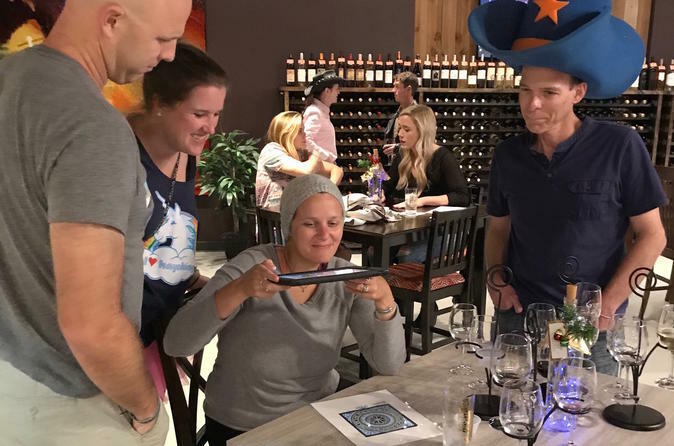 Austin Cluetivity is a game that combines state-of-the-art augmented reality technology with a mapped scavenger hunt that consists of trivia like questions, riddles, puzzles, mysteries, and more. Clues to solve the mysteries will be found in both real and animated worlds. Each unique route will consist of popular downtown destinations. Enjoy the adorable, neighborhood street, filled with craftsman houses that are all actually bars, string-light covered patios, food trucks, craft cocktails, and a constant stream of both locals and not-locals looking to party. Unlike other cities where crosswalks and rules apply, if you’re not jaywalking your way down this street, you’re doing it wrong, the bar hop games give you an inside look at these bars. Try explaining Rainey Street to someone who’s never been, and they’ll have a hard time believing what you’re describing is true: An adorable, neighborhood street, filled with craftsman houses that are all actually bars, string-light covered patios, food trucks, craft cocktails, and a constant stream of both locals and not-locals looking to party. The way the game works: You will be issued an iPad and small action pack after teams are decided. You and your friends start with a team name, then you listen to a 90 second orientation about how you can save the world by solving challenging riddles while you explore this awesome bar district. Your iPad will guide you based up 15 marked points that will appear as blue crystals in the game. As you navigate close enough to the crystals (or inside the bars) the game will prompt you to play. Those who solve all riddles and puzzles inside 90 minutes get a score to compete with those who have played before you.